The Penny Black challenge this morning is green and trees and i don’t have any penny black trees so i used a My minds eye background paper for the trees and the birds are penny black chalked and the white tassels stickled for glitter, then cut with a spellbinder nestie. I felt like making a card on another My minds eye card that was brown with polka dots. I like brown and pink so i put pink spellbinder cut frams on it. the flower is something i saw in splitfcoaststampers gallery, the person putting it up is snowmanqueen and here is her card smq. 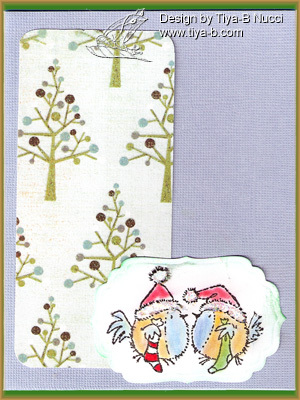 Still using those cute cards from My Minds Eye and the dragonfly & ‘note’ is from stampin ups Winged Things. It seems I need note cards more than brthdays or I’m just tired of birthday cards. 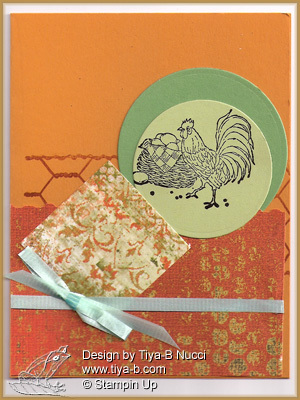 The image is stampin up A flower for all Seasons and the background is a paisley card from My Minds Eye. I love these card backgrounds.